I emerge from the abyss of college, with darker rings under my eyes and a smaller bank account, to bring you hot takes on a couple films that have been in theaters for a while now. Overall? It’s charming, but forgettable. 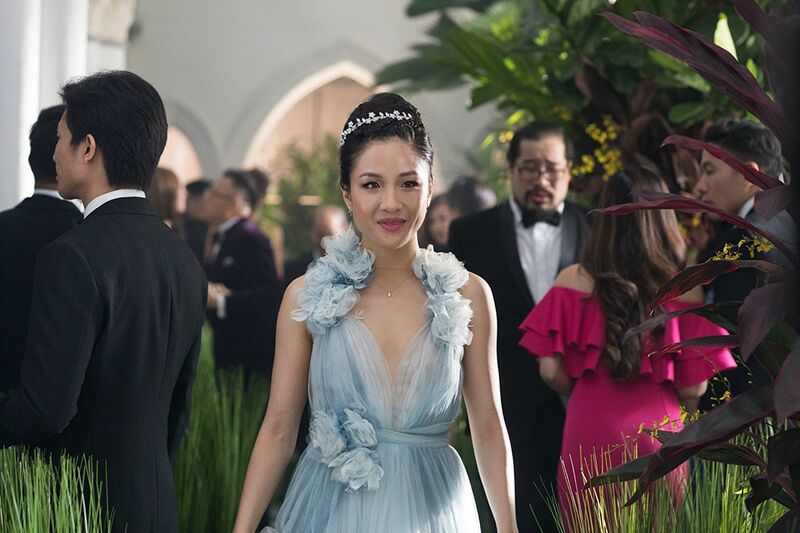 However, this is only the second film with an all-Asian cast ever made in Hollywood, and to hold it to a ridiculous standard of perfection in order to justify its existence is…ridiculous. If you like romantic movies that make you believe in love again, then go see it. It’s a visually stunning film with a talented cast. It’s not particularly funny, even though it was billed as a rom-com, but it’s very sweet. If you had plans to see it, see it, but otherwise, I recommend a rental. On a side note, a personal shout-out to director Jon Chu, who is only mediocre here, but directed one of my favorite bad-movies of all time, Now You See Me 2. Keep having a wildly varied career, Jon. It’s like the last twenty minutes of Jaws, but without any of the good directing, writing, or constraint. But if you just want to enjoy the thrill, The Meg delivers. It tries very hard to make you care about every one of its 10+ character cast, but so much happens that you forget which characters are alive and which are dead. While I appreciate trying to put human emotions into this film, none of it comes across as very genuine or earned. Truly, the movie’s best parts are Jason Statham being used as live shark bait, and if it had stuck to its strengths, the movie wouldn’t feel as long as it does, and have as many fake-out endings as Return of the King. This is actually a 2016 Netflix movie, but I’m reviewing it anyway. This is what happens when Moviepass fails me. The Fundamentals of Caring, based on the book The Revised Fundamentals of Caring by Jonathan Evison, tells the story of Ben (Paul Rudd), a new caregiver, who is assigned to Trevor (Craig Roberts) a teen with Duchenne Muscular Dystrophy. The film falls into the likes of other cutsie road-trip indies (which I adore but can constructively criticize) such as Little Miss Sunshine. It has quite a few indie-movie pitfalls, most notably characters defined by one or two extreme quirks (She curses and smokes but has a heart of gold! So edgy! The other woman is super pregnant and… not much else! The disabled kid makes crass jokes and pulls mean pranks! Wow! No stereotypes here. The other guy literally runs away from lawyers! This is three-dimensional). Paul Rudd is precious though, and makes the more hamfisted moments feel light and natural. It’s a message movie, one that is two-fold. One of these messages is questionable, and the other works quite well. The first: Ben is struggling with the loss of his son, and, though he denies it, it is clear Trevor becomes a son-like figure to him. Trevor calls him out on this, but the movie does not, ultimately saying that while Ben and Trevor eventually can move from one-sided father/son to friends, that Ben needs this to come to terms with the loss of his son, and Trevor wouldn’t have left his house if Ben hadn’t pushed him paternally. Now I appreciate that the movie doesn’t shy away from the more squeamish parts of caretaking (unlike, say, Me Before You). But Trevor’s need for help here is not because he is a toddler, but simply because of his disease. He is still an adult. By using these interactions, which, when put through this parental lens, have an obvious connection to taking care of a toddler, the film infantilizes Trevor, for the sole purpose of giving Ben an emotional arc. Trevor’s character development is over halfway through the film, which means he spends at least half of the film only contributing to an abled-persons growth. For a story that tries very hard to keep its disabled character from being the stereotypical “inspirational” figure, it’s an uneasy commentary. However, the film gets the other theme right. Ben is told at the beginning of the film that there must be a distance between caretaker and patient. But Ben can’t keep that distance. He can’t just take care of Trevor’s physical needs; after he learns about Trevor’s emotional ones, he seeks to help fulfill those too. Caretaking, the film argues, must be holistic. You can’t care for someone without entering into their pain; body, mind, and soul. But the film also has a nice touch at the end by saying that Ben resigned as Trevor’s caretaker but kept being his friend. Because it’s true that real-life professional caretakers, not movie characters, must keep some professional distance. In fact, I watched this film with my roommate, who is a certified nurse’s aide. Throughout the film, I occasionally turned to her and asked, “would you be allowed to do this?” She regularly said no. So despite the cliches, the heart of the story- that we should take responsibility for the people around us- shines through.